I am currently obsessed with my iPad. Clicking, tapping and typing away constantly. 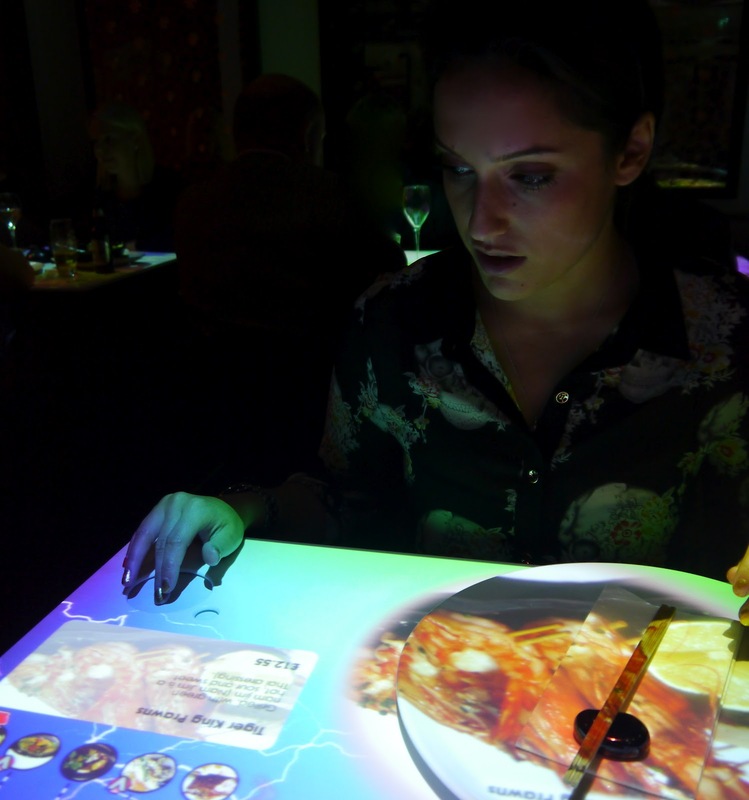 So when I turned up at Soho's Inamo, the fun continued with their unique and incredible interactive dining style. It is like no other restaurant I have ever been too. An amazing fusion Oriental cuisine with the most unique dining experience, completely exclusive to Inamo. The restaurant has an interactive ordering system through their incredible E-table's. I was absolutely in my element, clicking away all dinner long ordering drinks, food, playing games, changing the ambience and I even booked a taxi home from the comfort of my table. I felt like a child at Christmas. You could not wipe the smile off my face that evening if you tried. You only have a very brief interaction with the waiters, when they seat you at you table and give you a quick introduction to how the E-table system works. The waiters recommend two small dishes and one large dish each, but all of it to share. Once changing the ambience to an appropriate image of cherry blossom we started with our ordering. We both were absolutely starving which was probably not the best idea as we just ordered and ordered and ordered. Thank you my gorgeous friend Jess for her wonderful recommendation!